On Nov. 27, the suspect entered a Roslyn Savings Bank, passed a note demanding money to a teller, and was handed an undisclosed amount of money, police said. Maybe the bank robber is a bit wimpy. Maybe he's not cut out for a life of crime. But twice, not once, when he handed a note demanding cash to bank tellers at two Long Island banks recently, the tellers refused. Then he ran away, Nassau County police said Friday. "The tellers did not comply and the subject fled," according to the Nassau County Police Department. Police are unsure why the tellers did not comply. Apparently, the man indicated he had a gun but did not produce it, officials said. Nonetheless, police are asking the public's help in identifying the man, especially since he succeeded in one of his three bank robbery attempts. 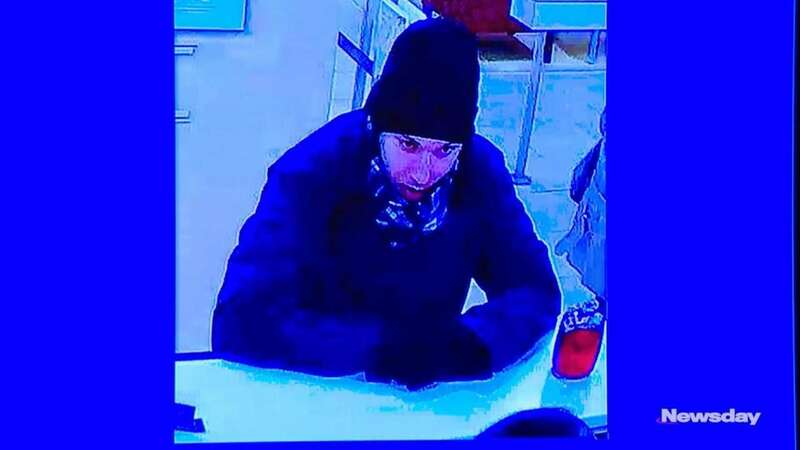 On Nov. 27, the man entered the Roslyn Savings Bank in Valley Stream at 3 p.m., passed a note demanding money to a teller, and was handed an undisclosed amount of money, police said. Nassau Police Commissioner Patrick Ryder said police see the man's three attempts at bank robbery as a pattern. "He's passed a note in every one of them," Ryder said during a news conference. "He's about 21. He's 5-feet-10 to 6-feet-1, dark knit hat, dark jacket, plaid scarf." A few days later, on Monday, he entered the TD Bank in Rockville Centre, passed a note to a teller, and, well, no dice, police said. The same scenario played out Wednesday when he tried to rob the Wells Fargo in Manhasset. There, he failed and ran out the back door of the bank, police said. There were no reported injuries during any of these incidents, police said. Anyone with information can call Nassau County Crime Stoppers at 800-244-TIPS. All callers will remain anonymous.